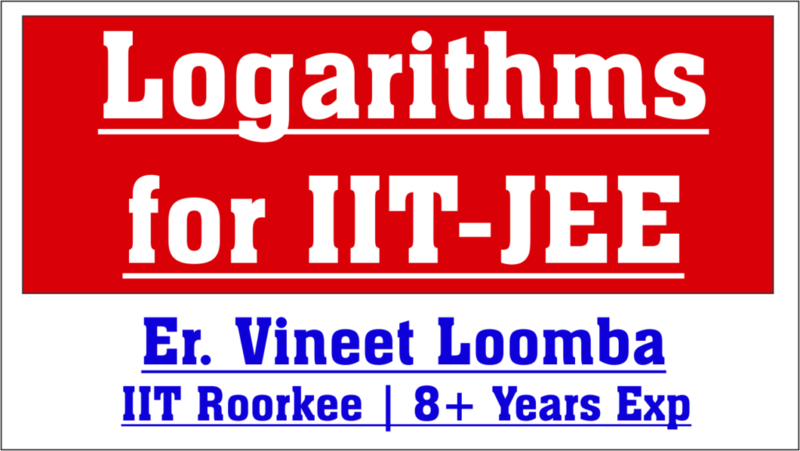 This Posts enlists all the resources to cover Logarithms portion of IIT-JEE (JEE Main and Advanced) Preparation. Download the logarithm assignment in pdf form here. Watch the following Video Lectures in case of difficulty in solving problems. These lectures starts from basics and cover upto JEE Advanced level. More Lectures will be added soon. Stay Tuned. Stay tuned and keep sharing among your friends as Sharing is Caring ! !